Sunday again already…… Ok, so I am about to finish my planning for this week and work on my reports, so I thought I would quickly do a blog post first! I wanted to share two ways you can get yourself lots of freebies! Firstly, do you follow Mr Hughes at An Educator's Life? Mr Hughes has a link every few weeks where teachers add freebies to Share Their Wealth! This time it is a Thanksgiving Themed activity. 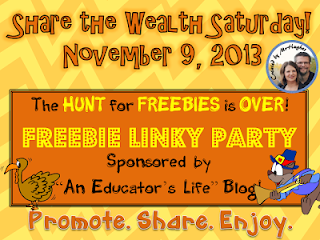 So head on over, link up, or visit a few new stores and download some quality freebies! Secondly, I've blogged before about how much I love Mel's clipart at From the Pond. Well…. I am super excited about her current project! 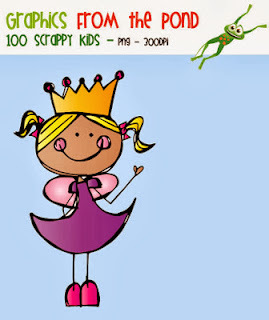 She is calling it 100 Days of Scrappy Kids - everyday Mel is going to draw a Scrappy Kid (by hand, I love her design style) and there are a few ways you get the 200 pieces of clipart (coloured and line art). 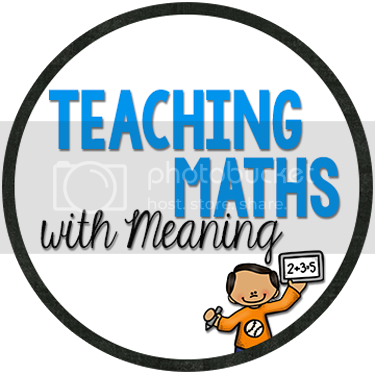 You can purchase it at TpT - it is currently 50% off - or you can visit her blog to find out how to download it for free everyday!